We spent yesterday in paradise. 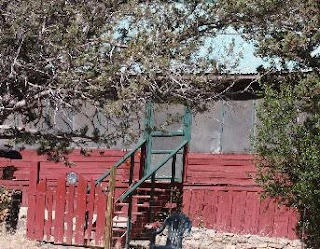 Paradise, Arizona is officially a ghost town but there are a few residences still there. At one time it was a booming mining town with stores, school and the usual saloons. George Walker founded the town in the late 1800s. His historic house built in 1902 is a lovely place to stay when visiting the area. That is, if you don't mind driving 5 miles of narrow dirt roads. But then part of the charm is being away from it all. 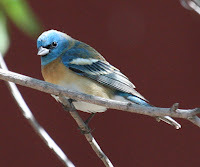 Whenever we come over to the east side of the Chiricahua Mountains we drive up to the George Walker Housein Paradise to enjoy viewing birds in the yard there. Jackie and Winston are the owners of the historic house and enjoy sharing information about the history and the wildlife of the area. I wondered how a town that once had close to a thousand residents could have disappeared without leaving more than a few houses. It turns out many lived in tents and when the mine played out those who did own houses and other buildings dismantled them and took the lumber with them to build at their next destination. What a different world that was! Yesterday was not an ordinary day at the George Walker house. It was a hummingbird banding day. What a treat seeing how the tiny birds were captured, ever so gently checked and measured then given a drink to energize them. 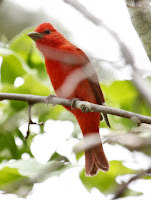 Unbanded birds are banded and all information is recorded. 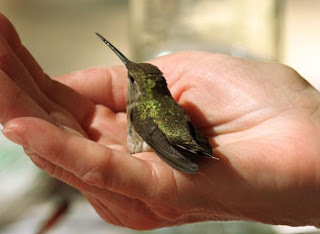 Sometimes the hummers need a moment to rest in a warm hand before the fly away. 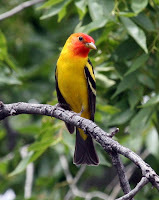 Below are birds we saw in Portal, Arizona, a tiny community just five miles away from Paradise. The road to Portal is paved and the store has a very few groceries. Otherwise it's 50 miles to the closest grocery store. As you can see the area is remote!